Click here to purchase an exclusive autographed copy of either one of my books in my online store now!! I also have a special package offer for 2 autographed copies of my published work for one low price!! Unsigned copies are also available on Amazon and digital copies are available on Kindle! See below for a brief description of each! Chante has it all; a beautiful family, a great job, and wonderful friends and family. Her only weakness, is not being satisfied. Even though everything in Chante’s life is glitter and gold, there still seems to be something missing. 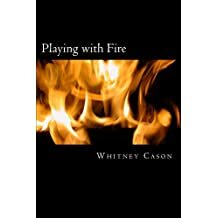 As life and parenthood begin, the fire seems to dim in their marriage, and Chante and her husband Trey don’t seem to have the same spark they used to. As a result, Chante begins to find what she is missing with Trey in the arms and beds of other men, despite the warnings and caution of her best friends. Chante thinks that everything is good, until those relationships take ugly turns and she is left with nothing but the regret of betraying her one true love. 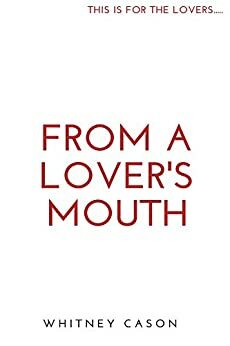 Take a trip down lover’s lane, with a collection of poetry that highlights some of the highs and lows of one of life’s most complex avenues; love. This is poetry from a lover’s mouth. Previous Post Welcome to Writing in Color Publishing! Next Post Do you Have a Writer’s Mission? Pingback: The Down and Dirty Things Writers Don’t Always Tell You – Writing in Color Publishing, LLC.